Welcome to the inaugural post of Five Course Trivia! 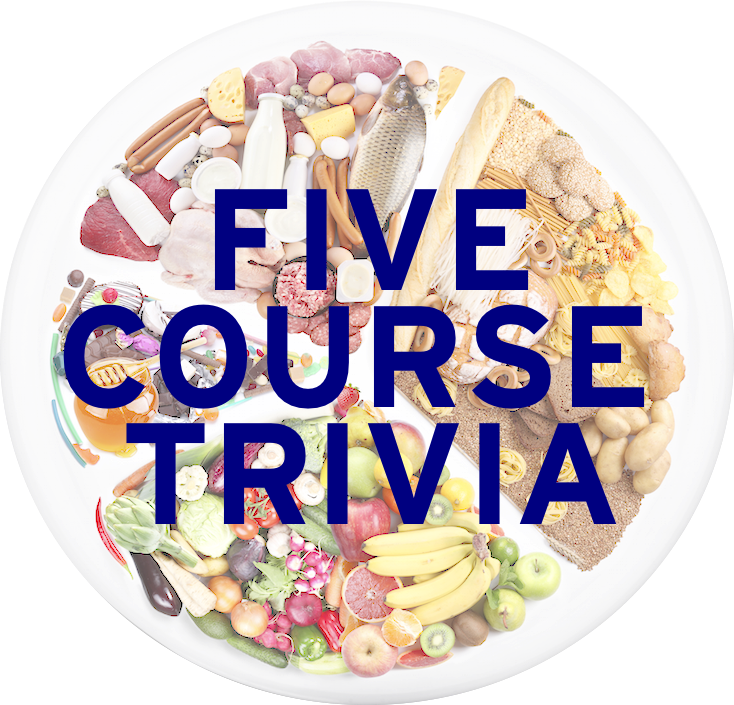 Five days a week, we’ll post five questions about something from the culinary world, from soup to nuts and all dishes in between. Today’s topic is pudding, so grab a spoon and dig in! 1. What British pudding is made from the fatty suet and dried fruit like raisins or currants, and served with custard? Part of this food’s notorious name probably comes from the shortened name of the Old English name for pudding. 2. In Southern cuisine, banana pudding is often accompanied with which type of cookie? 3. The traditional Scottish pudding haggis contains four sheep organs: three called the “sheep’s pluck” found in the pudding along with onions, oatmeal, and spices, and a fourth that encases the dish. Name the four organs. 4. What starch, derived from its namesake palm and found in New Guinea, is also found in its namesake pudding? The dish pictured is a Malaysian dish that combines this starch along with the gula melaka palm sugar syrup and coconut milk. 5. The dish pictured here is a pudding named after which English county? Learned League precedent: (L66, MD13) – A popular British emergency dish since the Middle Ages is what descriptively (and accurately) named porridge of wheat flour and boiling milk or water? Originating (as a term) in the late 1500s, its recipe was recorded in 1747 in Hannah Glasse’s The Art of Cookery Made Plain and Easy. Tomorrow: Words straight out of the cookbook, so that you can figure out what the titles in the table of contents mean. 3/5 for me, and that’s twice now I’ve missed that LL question.